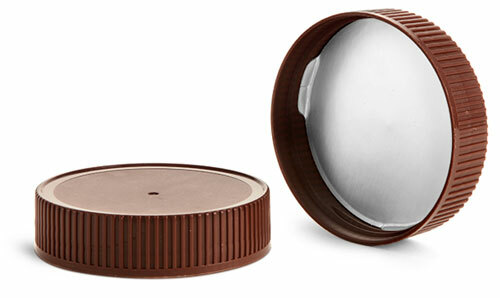 These brown ribbed plastic caps feature a Tri-Foil induction liner, which helps to maintain product freshness. The cap liners are also printed with the phrase "Sealed for Freshness" and can be easily applied with an Induction Cap Sealing System. Check out our Enercon Super Seal Jr.! Use the addons button to view compatible container options.